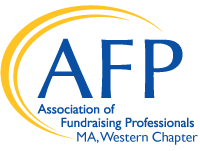 On November 14, 2012, the Western MA Chapter of the Association of Fundraising Professionals proudly celebrated and hosted a luncheon honoring National Philanthropy Day at the Log Cabin, Holyoke, MA. Such events are held nation-wide and we need you to help us celebrate and recognize those who help make our world in the Pioneer Valley a better place. Visit our 2012 Photo Gallery! Read about the Western MA Chapter's Philanthropy Day in MassLive! See the video about our President's Award Winners Who Feed The Hungry! If you have any questions, please contact Patricia Burden, Chair of National Philanthropy Day below. We need your assistance to make this a grand celebration.